A compact sized, sturdy storage box designed for easier handling and lifting of stored materials. 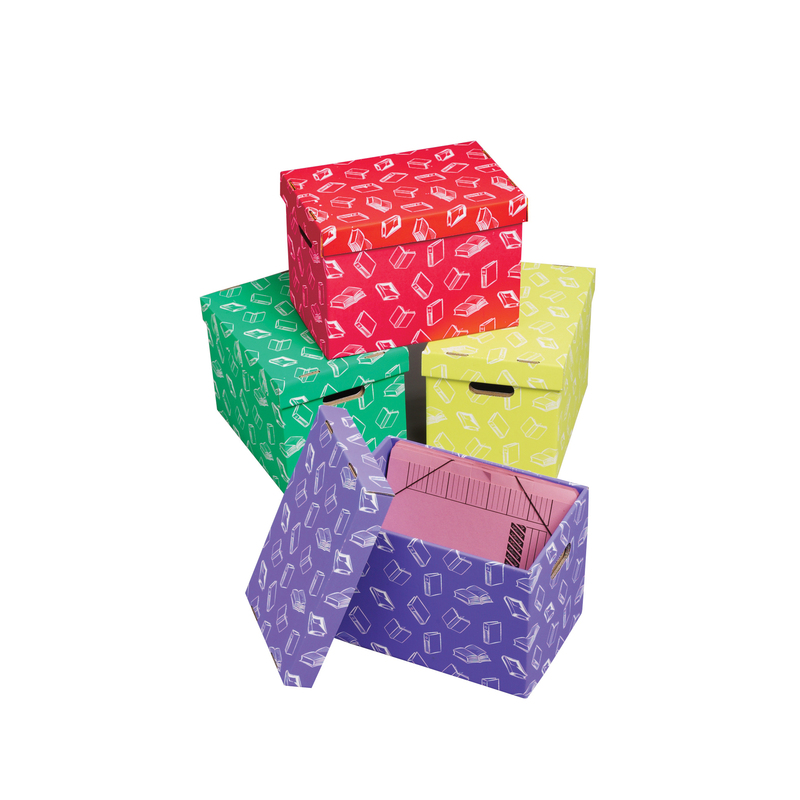 Keep office files, classroom materials and many more items in these brightly coloured and functional boxes. Accepts A4 and foolscap files. Made from tough corrugated printed board and supplied flat packed with simple assembly instructions. 4 assorted colours. H275 x W255 x D390mm.